Springrock Josefina - SOLD - Thanks Susan! Perfect Spot Norway - SOLD - Enjoy, Elizabeth! Kreutzer Farms Cayden - Sold to Melanie-Enjoy! Painted Rock Margaret- Sold- Thanks Rebecca! Never Winter Parfait - Enjoy, Susan! Thanks! 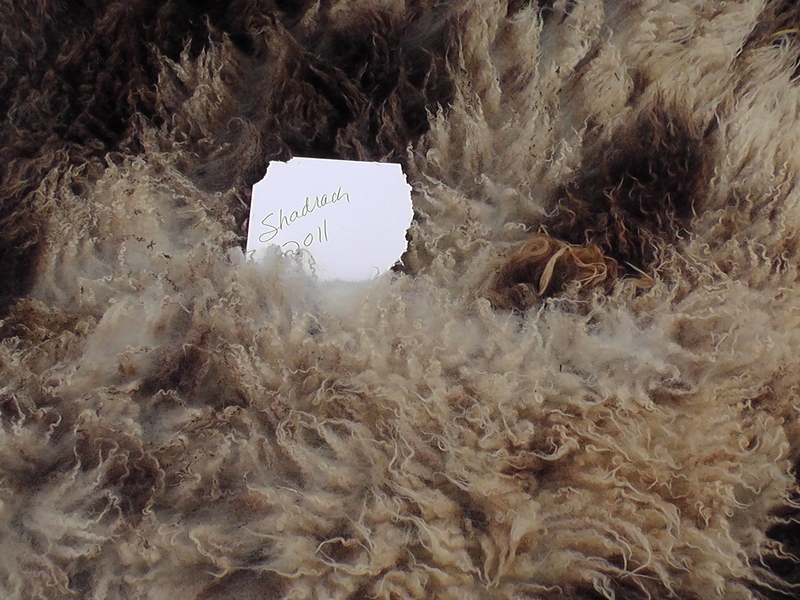 Springrock Shadrach-Sold - Thanks Susanne! Blue Ewe Lavender - Sold - Thanks Rebecca! Never Winter Brena - Sold. Enjoy Cheryl! Deerfield Evangeline- Not Available For Sale. 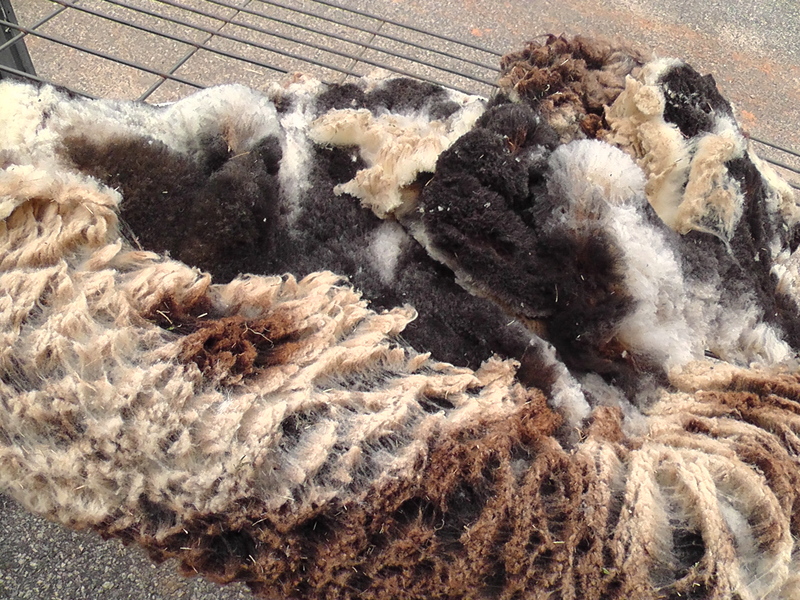 This fleece is being raffled in our fundraiser. Please purchase tickets and good luck!!!! 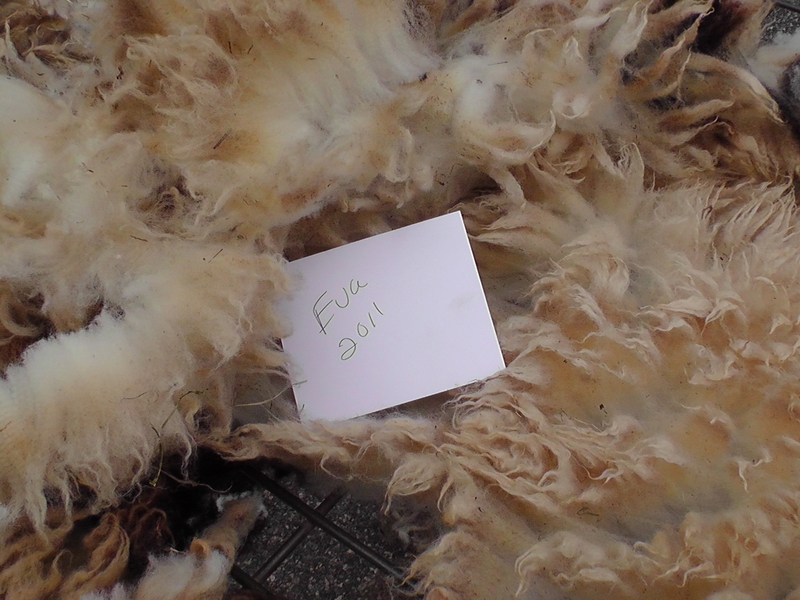 Eva has a beautiful fleece. I hope you win! Springrock Mona Lisa-SOLD - Thanks Jennifer! 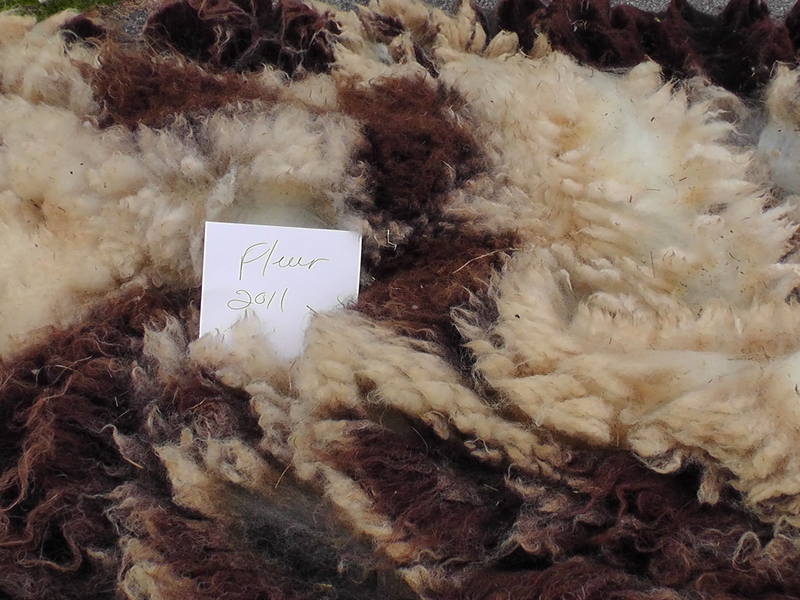 Blue Ewe Fleur- Sold to Jana - Enjoy! 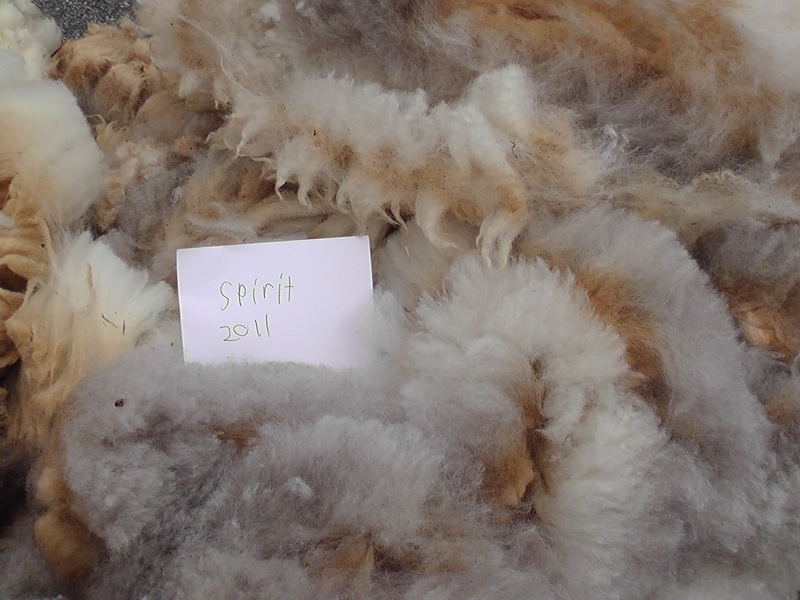 Kreutzer Farms Spirit - Sold. Thanks Cheryl! Painted Rock Moses- Sold. Cannot wait to see the project, Cheryl! Painted Rock Haven- Sold. Thank you Kara. 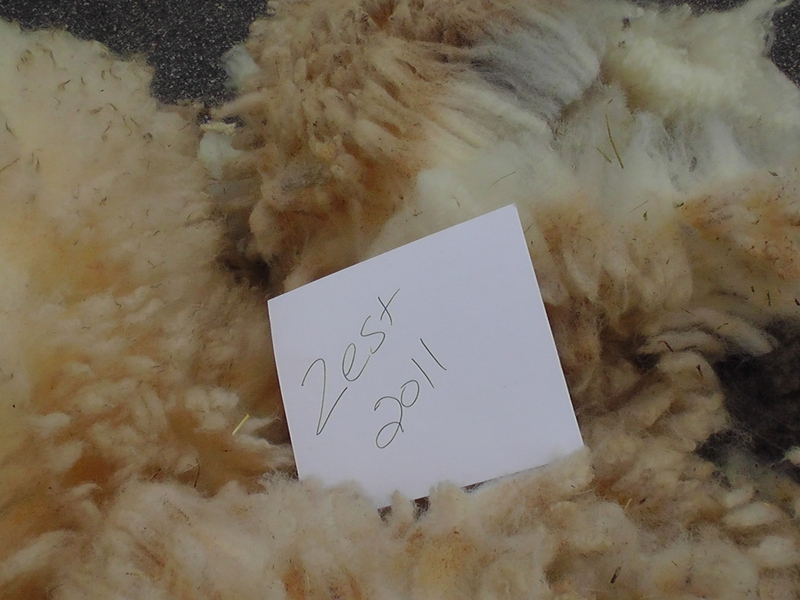 Blue Ewe Merlin's Zest - Sold - Enjoy Carolyn! Rockhaven Erica- Sold to Madeleine - Thank you! Never Winter Lambchop-Sold - Thanks Susanne! 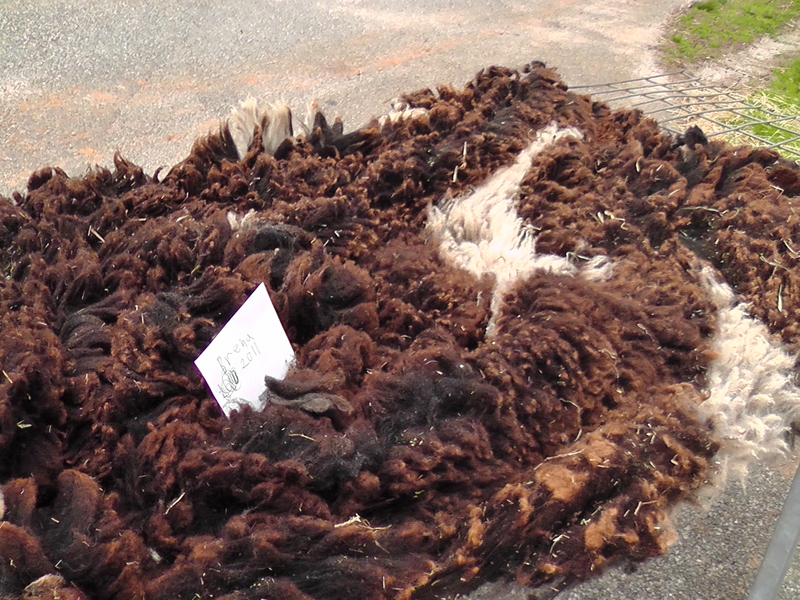 That’s more than three bags full of some most awesome fleeces!!! 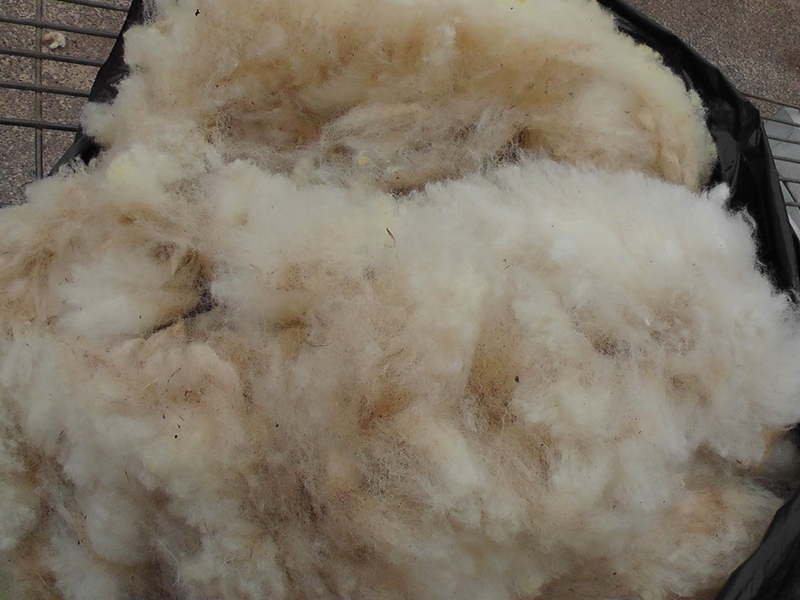 Storm’s parents’ fleeces are LOVELY and LUSCIOUS! Hi there. 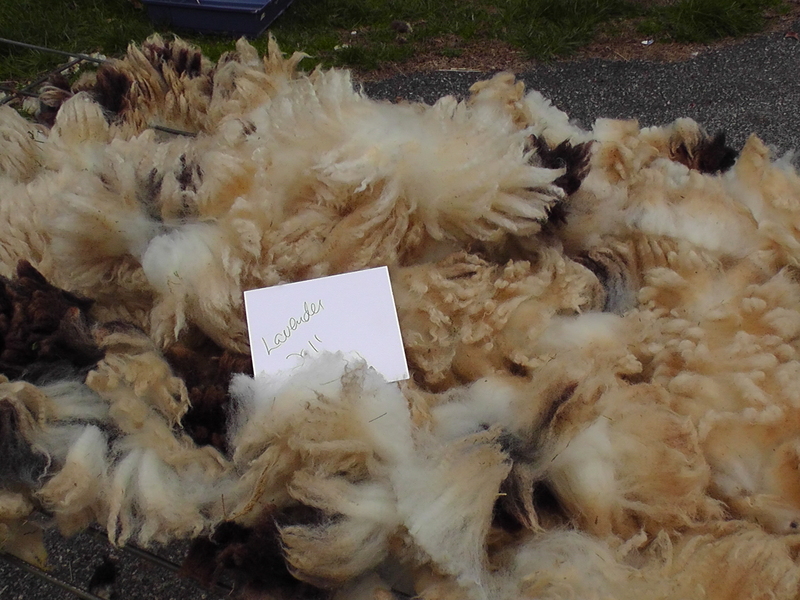 The largest prime fleeces are $35 and I have a couple that are beautiful, but from smaller sheep (less quantity) that are $25. I accept paypal. 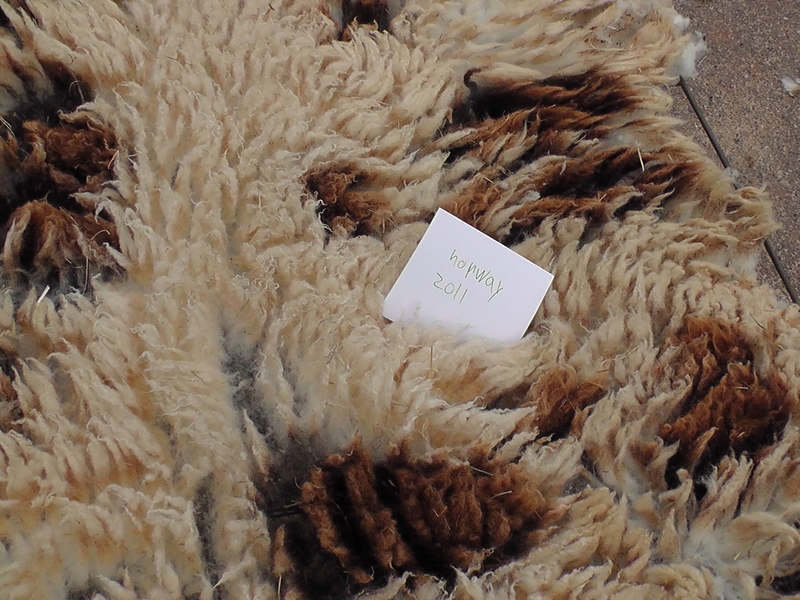 If you are interested, let me know and I can help you pick out a gorgeous fleece. Thanks for your inquiry! Hi, thanks for your quick reply! 🙂 I live in Manitoba, Canada, I am a handspinner, and LOVE soft, crimpy, spongey fleece to work with. I like a longer staple, and again – soft. 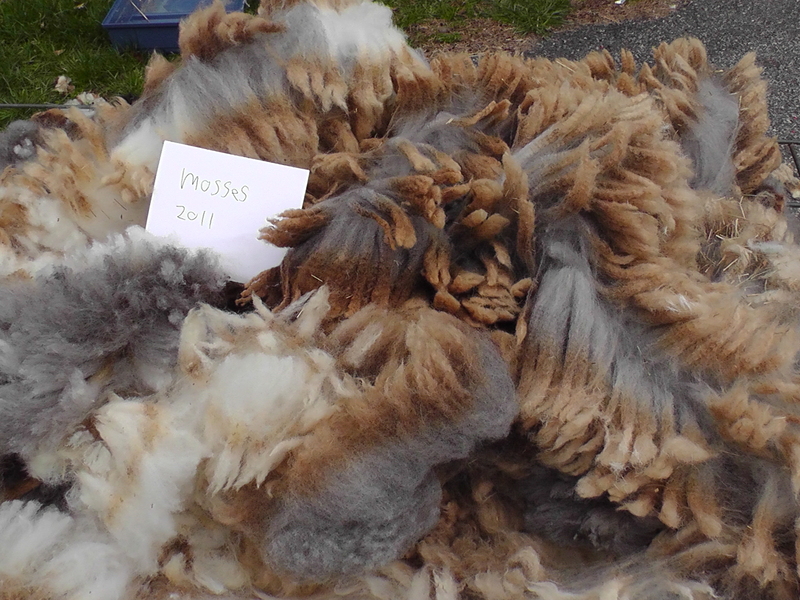 I couldn’t find where the ##’s were for the individual fleeces….Perhaps if you could suggest a few to choose from, I love the multi-colors, btw, along with the name, pic, what have you…and tell me how many lbs, as I have to consider postage, as well. Much appreciated! Have a great day. Susan, I forgot to mention that I have drop dead gorgeous rovings in lilac and chocolate for $4 / oz. I will try and get a photo of that posted. 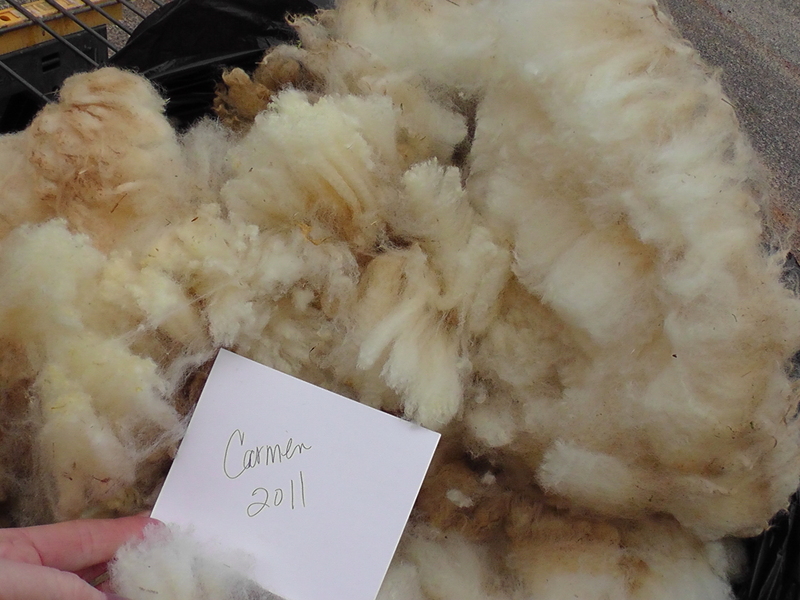 It is just back from the fiber mill and is very very nice. Take care. Hi Shari, I like the look of them all, but the coloring I am most drawn to is Lambchop’s. What does ‘secure tips’ mean..? I was hoping for some nice chocolate with some white, with a good mix of both. I am hoping for soft, strong, and a bit of a longer staple. Would Lambchop’s be the best choice for coloring? The nicest one that is closest to what I am attracted to is Mona Lisa’s, which is sold. Dark chocolate not so much, grey tones, no. I’m going to let you tell me which two would best describe what I have done, and then I’ll pick one. I know – I’m putting it in your hands..:-) It’s ok, I have to trust, since I can’t be there to see for myself! Thanks, you’ve been a great help! The tips being intact just means their hair has never been cut before, basically. SO, if you look closely you see “tips.”. The one that is most like Mona Lisa’s is Josefina’s. Lambchop would be the other choice for you based on what you have described. I believe you could not go wrong with either. Lambchop is very tame and underfoot when I feed hay, so her fleece may have a bit more vegetable matter in it. (tiny bits of hay.). Both have a long staple with Lambchops being a bit longer. Ok – I’d like Josefina’s. I’d take both, but since shipping and handling can really add up, it would probably be just too much. 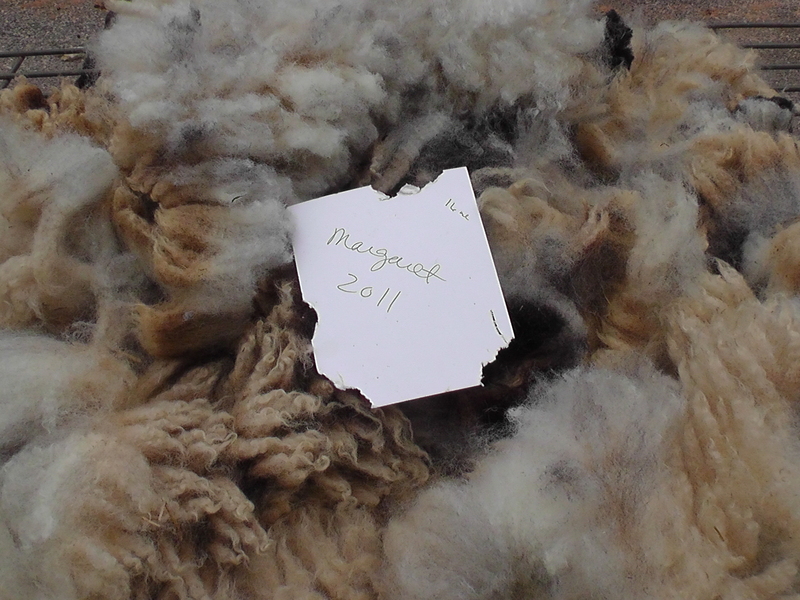 Thank you so much – I look forward to getting my hands on some of your fleece! I think that is a fine choice! And, one will keep you busy for a while. I hope you will love it so much that you will order again! Would you send full mailing address and I will work on packaging and a shipping cost for you? 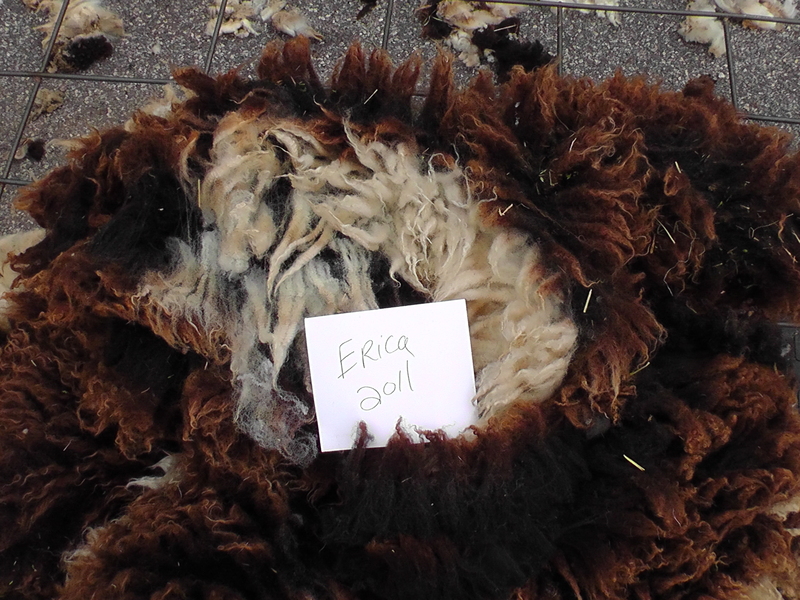 Do you still have Blue Ewe Eire? 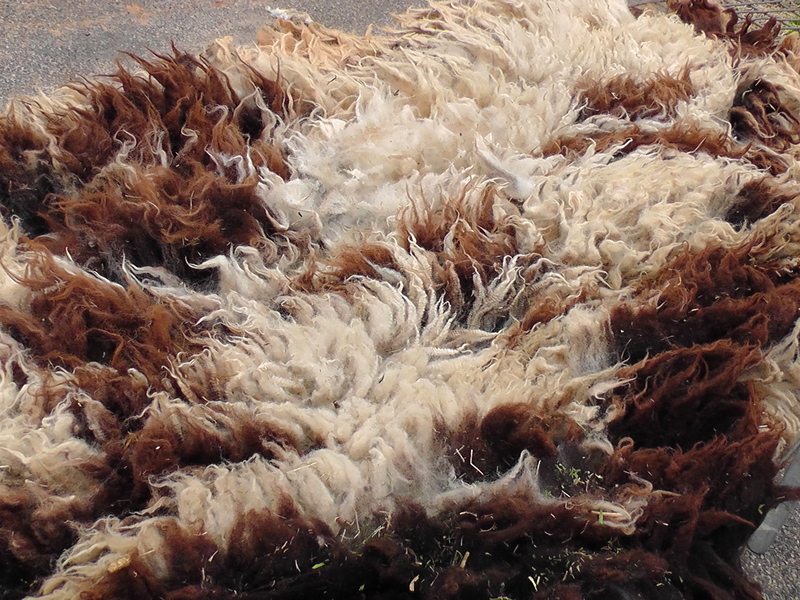 I would love to get on of your beautiful fleeces. 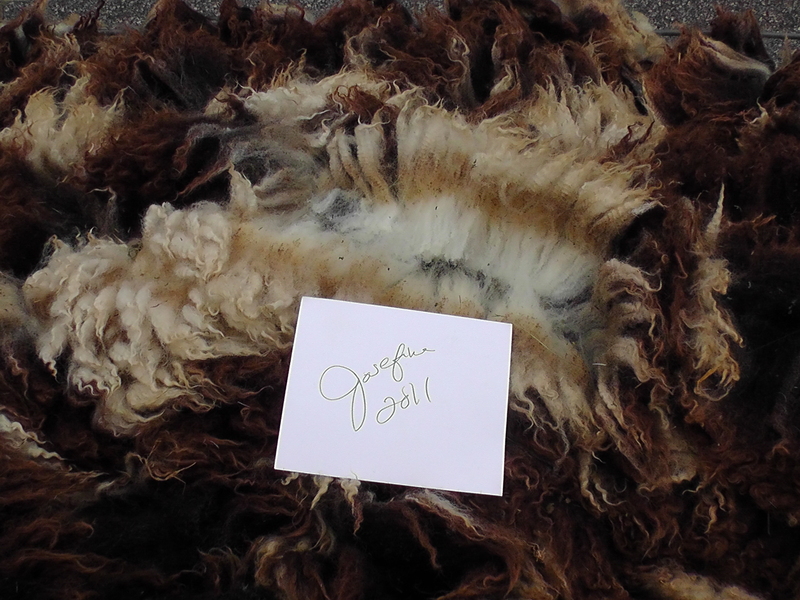 Hello, I’m looking for a Jacob fleece that has a lot of color variation within the fleece. I’m planning on seperating the locks and spinning the colors individually for a knitting project. What fleece would you still have that would fit my request? I like the look of Cayden’s. 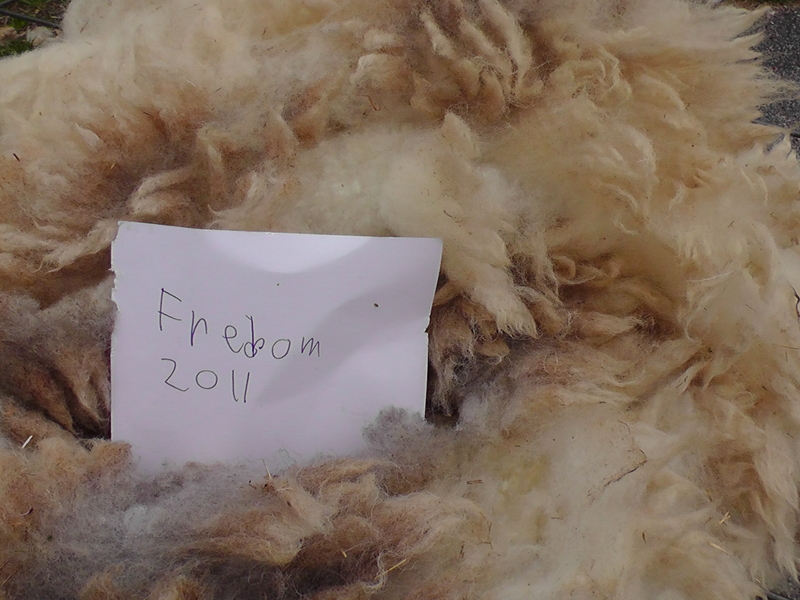 Cayden has a wonderful fleece and I think hers would be a superb choice. Parfaits is also very nice, but you will not get grey with hers. Haven has what you are describing too. Hers is ringlety and more open than Caydens and Cayden has more shine to hers than the others do. You cannot go wrong with any of the ones that I have mentioned. Thanks for your interest and let me know if I can package one up for you! Decisions, decisions. Ok, what would the cost be for Cayden’s fleece???? Forgot to include price. Cayden’s is $35. All of those that I mentioned are the same price. Thanks! If you buy two, they are $30 each! Okay, Melanie. I will package it up and prepare it for shipping. Then, I’ll get you the total. Please give me until tomorrow sometime. It’s my daughter’s graduation today!!! Craziness. I must run. THANKS! I’m interested in a project similar to what Melanie is planning. If Parfait and Haven are still available I would love to purchase them. I’m in Canada as well. Just took another look and I now realize that Parfait is sold. 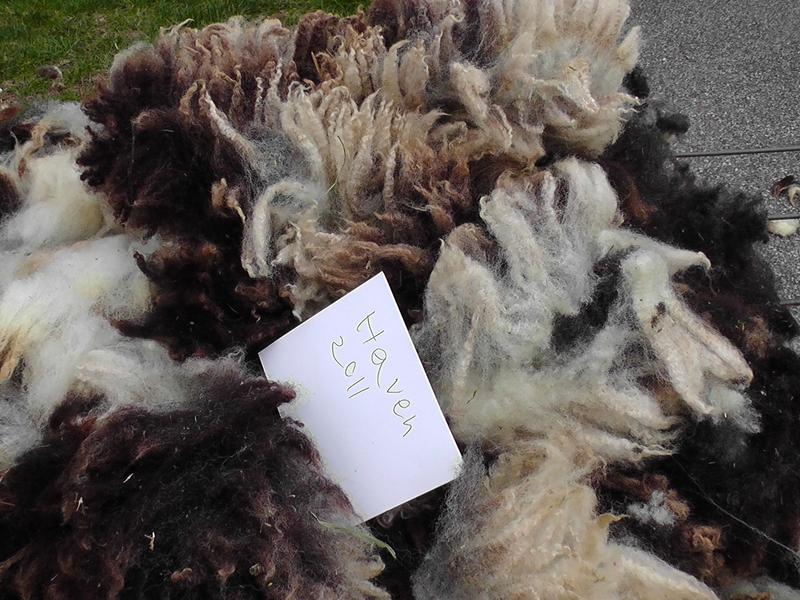 Could you suggest your next loveliest fleece to accompany Haven (if Haven is still available). Do you like the look of Lambchop? It is actually black and white, but you are viewing the top side, rather than the shorn side. So, there is sun fading on the tips. I will pull hers out and have a closer look. Underneath it all, she should be a very deep black and white. Could you send your mailing address to my private email at mikesharikids@yahoo.com? I will need that for a shipping label. Many thanks! Thanks. 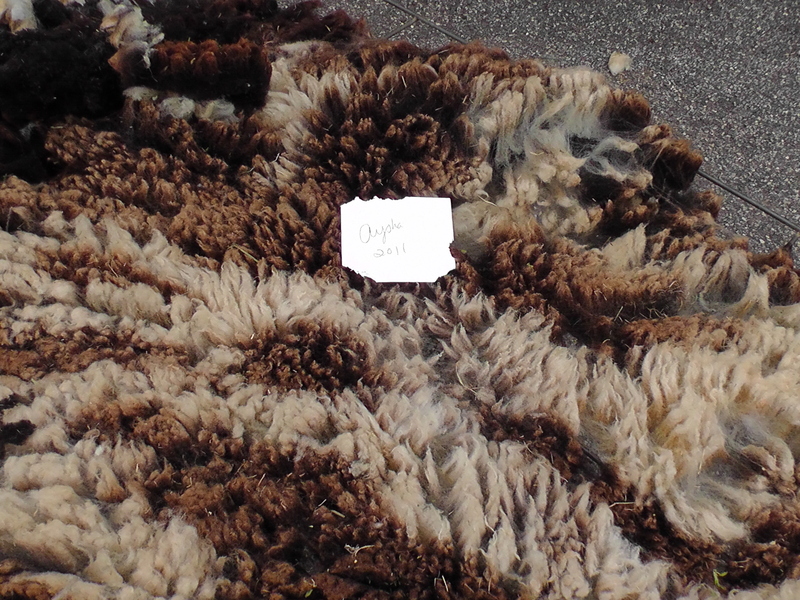 I’d like to use the lighter-colored fleece make a cardignan and use the darker parts for some colorwork. 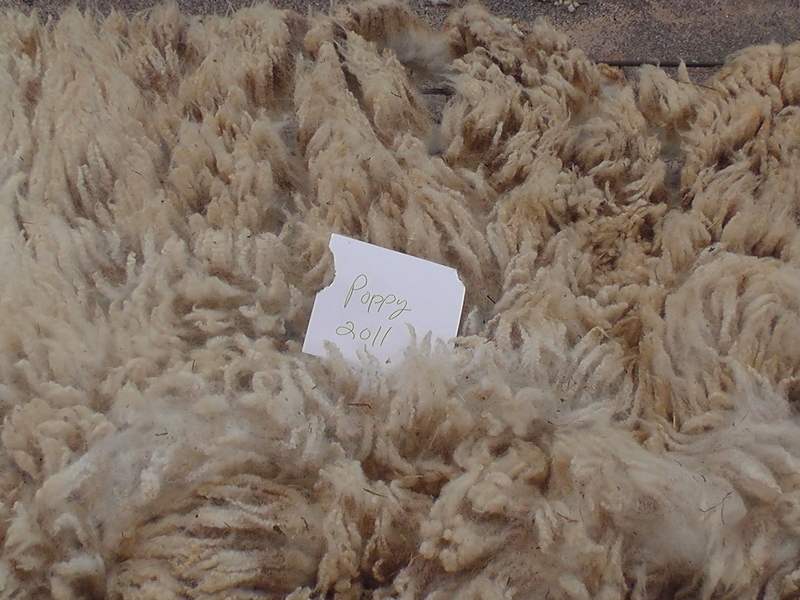 Would Lavender’s fleece be good for this? Also, can you give me the weight – thanks! It should weigh between 3-4 lbs (estimating). I will pull it out for you and weigh it. I do think hers will work well for what you are describing. She is probably 10-15% dark color and the rest white. Her fleece is $35 plus the shipping. If you will email me you address, I would be happy to calculate your shipping cost. My email is mikesharikids@yahoo.com. Thanks! Thanks – sent you an email with my details. I received my 3 fleeces today. I purchased Moses, Spirit and Breena. Wow!!! They are amazingly clean, soft and gorgeous. I am thrilled with my purchase!!! How do we order? I have my eye on one! You can email me at mikesharikids@yahoo.com or call 678-596-7776. 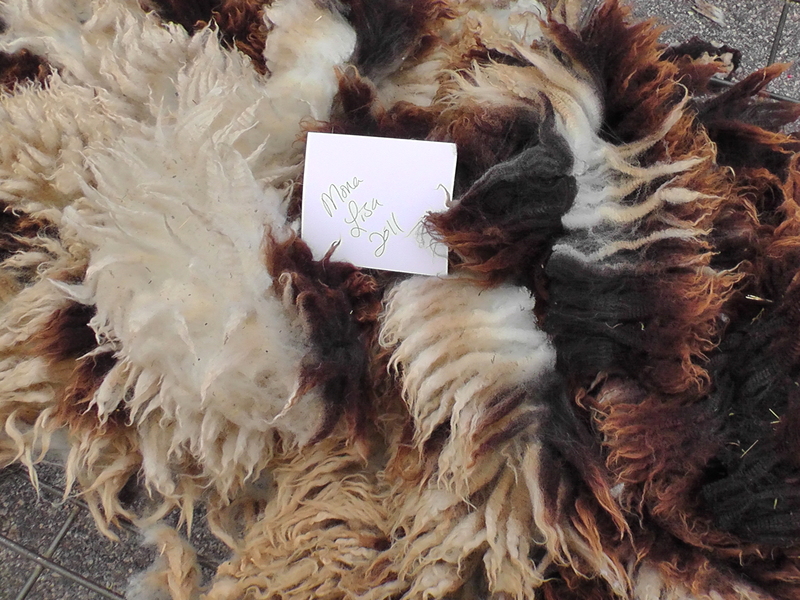 My best fleeces run $35 and I accept pay pal, money order, personal check. 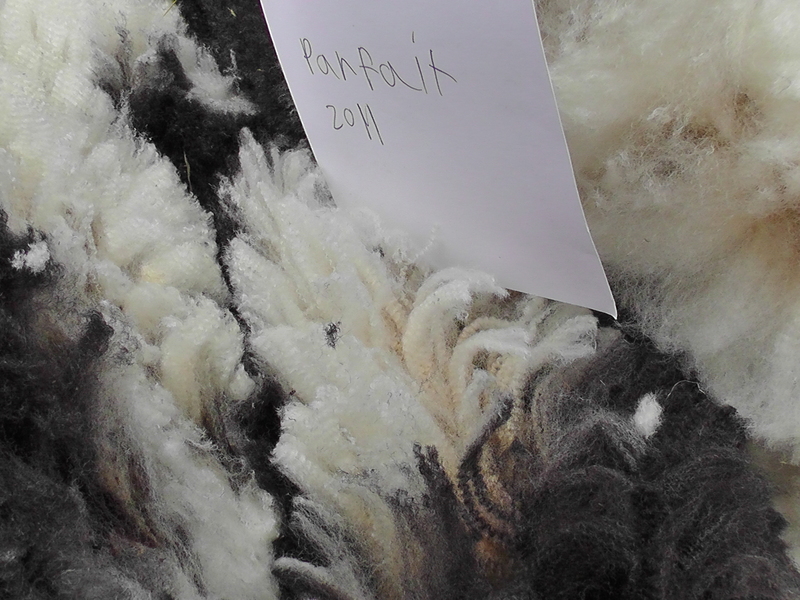 Which fleece are you interested in? Emailed you. Looking at Painted Rocks Heaven or Blue Ewe Erie. I love Blue Ewe Fleur! Must have!! I will bring it by for you to look at if you would like. 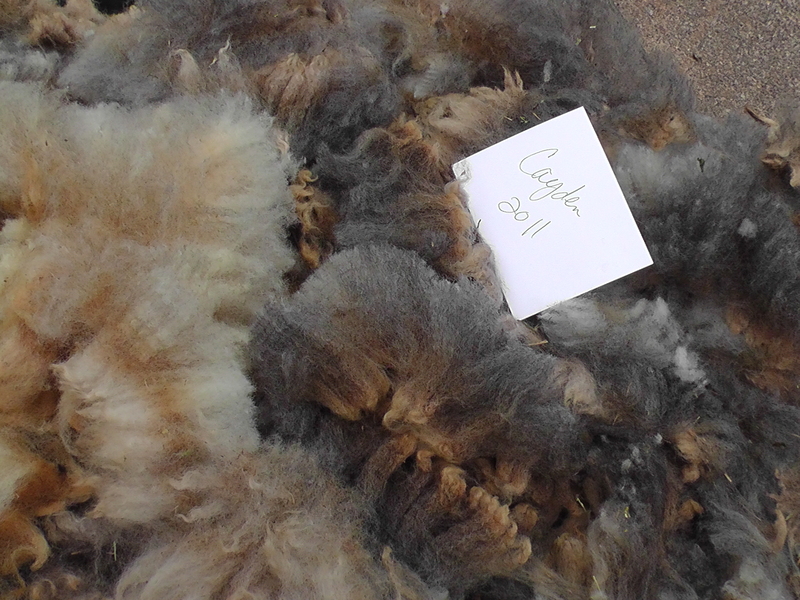 These raw fleeces are only $35 and you will be amazed at how much fiber you end up with. You might get twelve normal size skeins! Somewhere around that amount anyway. Plus. It is so much fun to process!